Just looking through the 2018 regs, more specifically the tyre lists. "Extreme" are a new addition to the 1B list. They are essentially a remould, but they do seem to get pretty good reviews on the web, and they're relatively cheap and come in soft and supersoft compounds in the sizes I can use. At the moment I have a set of 7X13" and 7X15" wheels. The 15s are shod with 195/50/15 RS3 and the 13s are bare. I'd normally buy a 1B tyre, but as we're now competing within CM and their handicap is 2.5%, I'm not so sure I'll outperform the penalty. The car will be around 180-200BHP and will weigh in at around 850-900kg. It will be an RG car. Choice for 1A is, stick with the RS3. Other option is that I ditch the 7X13" MLs and get another set of the 8X13 steels and run 225/45/13 R888. Does anyone have any thoughts that could influence my choice ? Yes, don’t turn up. Then it Wont matter what tyres you’ve chosen. If I were you I’d research 1A’s and find the softest compound available, there’s got to be an advantage to be had there with the 2.5% penalty? I spent ages finding the lowest treadwear value on a decent tyre before the 2005 season. Then I found a part worn set rather than having a new set with deep tread. Others had the treads cut with good results.. Yes, having used R888s I’m not convinced they offer much more grip then a good 1A and I found them to be very unpredictable in the wet. I’ve heard R888Rs are much better however?? Thanks fellas. Some of the rubber that used to be 1A has been moved up to 1B over the years as manufacturers have developed them and added an extra letter to their names. Looking at the 1A list there’s nothing that stands out to me at the moment, but I’m all ears for any recommendations. The 1A RS3 on the car at the moment are two years old with little use. I last used them in anger at Ty Croes in the wet, and they were ten seconds quicker than the 1B R888R I’d used on the previous run (R888R were pretty crap in wet conditions, great in the dry though). The following year at TC (2017) in the dry, I lent the RS3 to Josh Oakes after he’d killed their car and decided to use his road car. I think it’s fair to say he put in a cracking time on them when all other factors were considered (his car was bit poorly). So I think if I go down the 1A route, I’ll keep hold of these initially, as they are a soft compound and are known to work well on an SS1/Sabre. I will have a look at what else is out there though, and I’ll ask if anyone local could shave a couple of mm off these to freshen up the outer rubber and reduce tread block movement. I think RS3 have caught favour in CM as well. The guys in the supercharged mx5 (howard and ... ) are big fans of them. cheap as chips in 15"
I think I've made my mind up. Thanks for your input everyone. Just looking at my Curbs time in the Sabre with 1B R888R tyres. If I add 2.5%, it's about 1.75 seconds and with 1.5% it was about 1 second. I think the 1Bs were worth a second a run, but 1.75 would be a bit of a stretch. If we still had Kumhos in the 1B list, then it would be marginal. But they're now list 1C , which I can't use unless or until I go ModProd. Does anyone want to buy a nice refurbished set of 13" X 7" MLs . I can't any decent rubber in the 1A list that's suitable for 13s. Better than Toyo Proxes T1R? 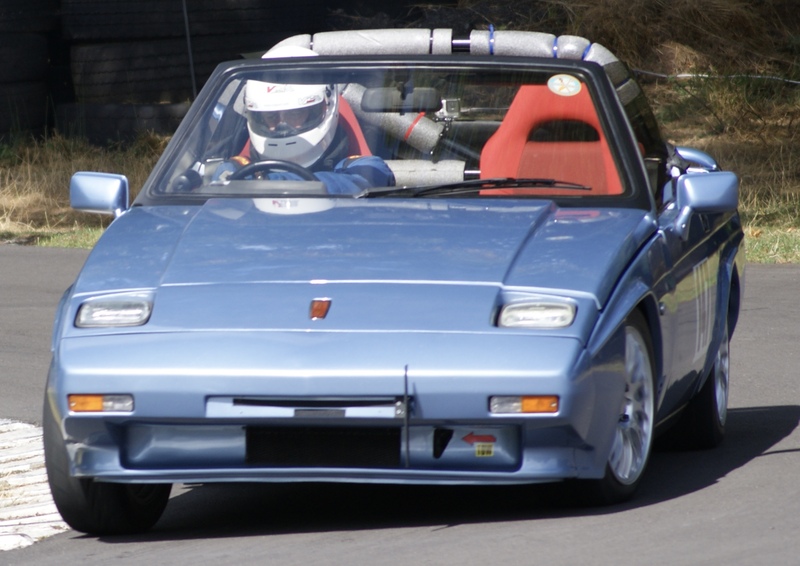 (what I have on the MR2 I plan to use). Yes, Uniroyal Rainsport 3. I would say they’re as good if not better than TR1 in the dry, but light years ahead in the wet. Ok, I thought the tyre situation was as easy as getting a set of super soft 205/50/15 V70A's; however I can't find anyone that sells them/has them in stock!? There seems to be a few more choices now and looking to 1B's seems a good idea, I even thought about 1A with the 2.75% loading on the 1C's, but wasn't sure if you can run them in modified? It's the CM's regs and entry forms I'm finding confusing with the tyre and class categories.. As you say the MSA regs for modified make not reference to tyres. I’m not sure I would want 850kgs being powered by 350 horses on anything less then 1cs? ?